A young male satellite tagged hen harrier “Vulcan” has disappeared in Wiltshire. The final transmission on 16th January came from a location south of Calstone Wellington, near Calne. The police and RSPB are working together to try and establish the circumstances around Vulcan’s disappearance. If anyone has information please contact Wiltshire Police on 101 or Contact Crime stoppers on 0800 555111, if you would prefer to remain anonymous. Alternatively, anyone with information can call the RSPB Raptor Crime Hotline confidentially on 0300 999 0101. Follow @RSPB_Skydancer for the latest hen harrier news. Click on the highlighted dates to view an upcoming event or click the View all events link to see all upcoming indoor or outdoor WOS related events. 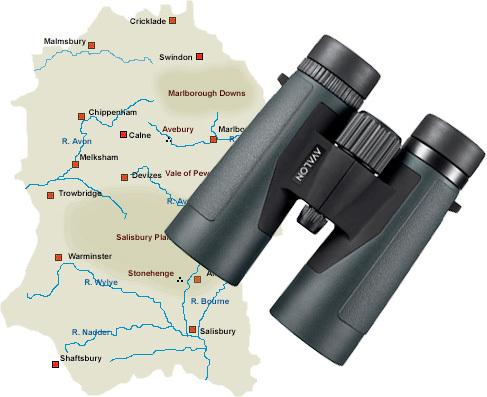 Information on some of the best locations for birdwatching in the county is provided here. We will be adding more location details as the list grows. Wiltshire Ornithological Society was formed on November 30th, 1974, and has grown in recent years to more than 500 members.